We feel a reminder wouldn’t hurt in light of a recent case where the pet tragically died. Rodenticide toxicity can be caused by any of several types of rodent poisons that fall into two general categories, anticoagulants and non-anticoagulants. ANTICOAGULANT RODENTICIDES work by interfering with the activation of Vitamin K, a critical component in the production of blood clotting factors in the liver. NON-ANTICOAGULANT RODENTICIDES vary in their mechanism of action and include bromethalin, strychnine, cholecalciferol, and zinc phosphide. IF YOUR PET HAS INGESTED RODENT POISON, CONTACT YOUR VETERINARIAN IMMEDIATELY.!! Bring with you the product packaging, as it will help identify the type of poison and proper course of treatment. Treatment may involve hospitalization, medications to counteract the effect of the toxin, blood transfusions, intravenous fluids and anti-seizure medications. Now that it's snowy & icy, consider the ice melt you're choosing. We have several choices these days of pet friendly ice melt. The old rock salts of yesteryear are not our only options. Many ice melt products can be harmful to your pet’s feet, and digestion. Here at Smith Vet we use “Safe Pet Ice Melter”, which causes no harm to pet’s toes and tummy’s, and works quite well. Check out this article for more information & melt that ice safely!! Why are we an AAHA accredited hospital? Did you know? Some states don't routinely inspect hospitals, only going in for an inspection when a complaint is filed by a pet owner. We don't think this is good enough, which is why we chose to go above and beyond and become accredited by the American Animal Hospital Association. 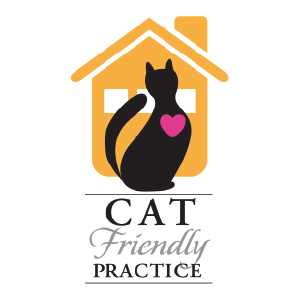 We choose to be evaluated regularly by AAHA because we hold ourselves to a higher standard! 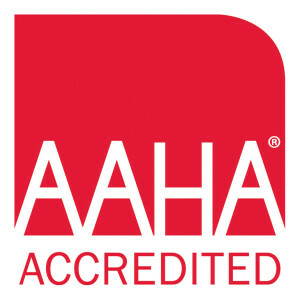 We always tell you we're AAHA accredited, but what does that really mean? Check out this video to learn more. WHAT DOES BEING A VETERINARY TECHNICIAN MEAN TO YOU? As I reflect on National Veterinary Technician week, I am truly overwhelmed by the knowledge and compassion of my colleagues. “I could never do that job,” is something that I hear frequently when I describe my duties to people who do not work in the veterinary field, yet these incredible individuals at Smith Veterinary Hospital couldn’t imagine themselves doing anything else. Every technician at our hospital goes through a rigorous training program and is skilled in every aspect of the position. Each day we work as anesthesiologists, phlebotomists, pharmacists, surgical assistants, dental hygienists, x-ray technicians, record keepers, poop scoopers, and a calming touch to every patient. When asked to describe their favorite part of the job, it is clear that each technician has their own area of special interest. “I love monitoring anesthesia,” Pearl gushes without hesitation. “Being responsible for my patient’s life during surgery is an incredible privilege.” Jenna explains that patient nursing care is her favorite part of the day-to-day operations. “I love working with my patient and helping them feel better,” she tells me with a smile. After chatting with most of the staff, the consensus was that our overall passion is being advocates for our patients. Ensuring that they are calm, comfortable and receive the utmost care are our reasons for coming to work each day. So, please know when your pet is in the hospital, it’s being cared for as if it were one of our very own.